We are screening 3 films at the Buskirk-Chumley Theater: Arsenic and Old Lace, The Exorcist and The Wailing. Frank Capra’s Halloween comedy Arsenic and Old Lace stars Cary Grant as a man learns that his eccentric but sweet aunts have been seeking out lonely, elderly men, poisoning them, and burying them in the basement. Controversial from the day it opened in 1973, The Exorcist is now recognized as a defining classic of the genre. Our third film, The Wailing, is a 2016 release. A foreigner’s mysterious app earance in a quiet, rural village causes suspicion among the locals in The Wailing. Released in June of this year, The Wailing has garnered enthusiastic reviews on the film festival circuit and is currently the highest rated film on Rotten Tomatoes. You can read more detailed descriptions of these below. The Halloween Fest will also include spine-tingling live performances in between films by James Dorr and by Cricket’s Bone Caravan, so come early and stay late. So begins Bloomington’s local Ryder Film Series announcement of the coming weekend’s special showing, from 2:15 p.m. to 10:45 p.m., “Halloween Fest: Sunday, Oct 23 at the Buskirk-Chumley Theater.” That’s right here, downtown on Kirkwood Avenue for those unfamiliar with the venue, with my part scheduled for the intermission between THE EXORCIST and THE WAILING. And for what I’ll read (hint: it’s the same tale I read for the 4th Street Arts Festival in September, cf. September 4), let us let the Ryder explain: [Dor r] will be reading a selection from his newest book, TOMBS: A CHRONICLE OF LATTER-DAY TIMES OF EARTH, a novel-in-stories scheduled for release by Elder Signs Press in spring-summer 2017. Set on a far-future dying Earth in and around a vast necropolis known as the “Tombs,” “Raising the Dead” is about a young woman who seeks to restore the soul of her newly deceased husband to his body; a tale of necromancy, dark fantasy, airships, and doomed love. “Raising the Dead,” I should add, has also been published in White Cat Publications’s 2015 steampunk anthology AIRSHIPS & AUTOMATONS (cf. May 27, April 7 2015, et al.). Schedules, ticket prices.and more can be found on the Ryder’s own site by pressing here. And, if all the above weren’t enough, they also add: Wait, there’s a fourth film. On Sunday, October 30th we will screen the 1958 classic, Horror of Dracula, at Bear’s Place. If you purchase a movie pass for the films at the BCT on Oct 23rd, you can use it for Horror of Dracula as well. So it’s a guilty pleasure too (Aimée, e.g., of the “casket girls” is herself bi), but for those interested, this weekend’s DIRGEMAG.COM offers “Red Lips, Black Heart: The Allure of the Predatory Lesbian Vampire in Film,” by Annie Rose. While not exhaustive, it provides a fair, more or less chronological view of the hungry for you-know-what vampiress in European and Hollywood movies, some a bit on the subtle side to get past the censors, of course. And with pictures too (but these, as well, tasteful). How many have you seen? For DIRGEMAG’s scorecard, one may press here. Then in more local news, Sunday brings the schedule for this year’s Labor Day weekend Fourth Street Art Festival’s Spoken Word Stage. This is a series of half-hour readings of poetry and prose, with a little drama perhaps here and there as well, sponsored by the Writers Guild at Bloomington with partial support from the Bloomington (Indiana) Arts Commission. And in which, Sunday, September 4 at 3:30 p.m., is featured “horror fiction” by me. My most likely reading for this will be “Raising the Dead,” originally published in White Cat Publications’s AIRSHIPS AND AUTOMATIONS (see May 27 2015, et al. ), which will also be part of my novel-in-stories due out in the first half of next year from Elder Signs Press, TOMBS: A CHRONICLE OF LATTER-DAY TIMES OF EARTH (cf. July 24, 15 et al.). 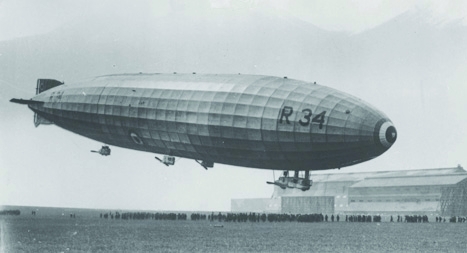 Dead Lines Scheduled for April 21 by Daily SF; Airships to Fly into Print Within Two Weeks? A week and a half short of one year ago, on April 10 2014, my New Orleans-based vampire tale “Casket Girls” went out to subscribers of DAILY SCIENCE FICTION. One week later on the 17th it went into the archives where it can be seen by subscribers and non-subscribers alike. Then today I received via SFSIGNAL.COM a preview copy of April’s DAILY SF story roster (probably available on DSF’s own Facebook page by tomorrow mor ning since then of course it’ll be April, but for the scoop, for what it’s worth) announcing that in just about three weeks, April 21, a year and eleven days after Aimeé the vampiress made her debut, my next story “Dead Lines” (see January 1; December 23 2014) is set to appear. “Dead Lines” is a Poesque mystery of sorts, of the disappearance of one Mr. Valdemar and the gracious New Orleanian grande dame “Lo” who may know more about it, as well as the original casket girls, than she lets on. It will be my fifth story for DAILY SF. 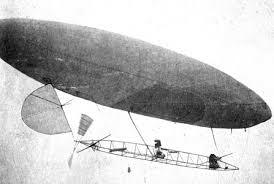 Then a second quick note, while it’s unofficial I understand that following some last minute edits the paperback version of White Cat’s AIRSHIPS & AUTOMATONS (see March 19, et al.) has gone to the printer, to become available hopefully in two weeks or less. Just hours ago the word came from Editor Chuck Zaglanis, the long awaited AIRSHIPS & AUTOMATONS (see February 5, et al.) is out on Kindle. Hopefully the print edition will be quick to follow. Published by White Cat, the book is blurbed as “Tales from a world that should have been. . . Fifteen stories spanning the ages from ancient Greece to a far-flung dying future,” and now can be obtained in the here and present by pressing here. My own piece in this is of the airship persuasion and, set in my far-future dying-Earth universe of the “Tombs” (more than a dozen tales of which have been published in various magazines and books including my current collection, THE TEARS OF ISIS), marks the “far-flung future” that ends the anthology. Titled “Raising the Dead,” along with airships (and tombs) it touches on souls and love, mourning and ghouls, corpse-gas and ballonnets, and Necromancers. Another thing coming (cf. January 3, below; also September 4 2012), its engines a-roar! First via the U.S. mail today in form of a counter-signed contract and check. Then through a “tagged” message on Facebook. Described in its blurb as “Spanning the ages between ancient Greece and a far flung and dying future,” itself, by some, feared to be perhaps dead. After a voyage of nearly two and a half years from its first acceptance of my own story, “Raising the Dead” . 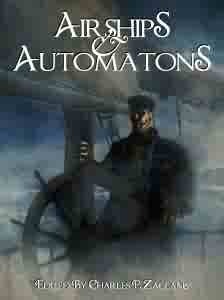 . . now appears in the distance the steampunk-through-the-ages anthology AIRSHIPS & AUTOMATONS! But shall we let Editor Charles P. Zaglanis say it in his own words? My story in this, as may be gleaned from the “through the ages” passage above, represents the far-flung dying-Earth future as one in a series of tales set in the “Tombs,” a vast necropolis and its surrounds where people still strive to live and love, as they do today. For those familiar with my 2013 collection, THE TEARS OF ISIS,* think of “The Ice Maiden,” “Mara’s Room,” and “River Red,” also in the Tombs universe. While as for AIRSHIPS & AUTOMATONS, adding what I’ve heard thus far of the other 14 stories in its contents, the wait should be worth it. *And, if not familiar, one may press its picture in the center column. Airships & Automatons Cleared for Takeoff? And then it disappeared. As an airship drifting behind a cloud, the anthology . . . was gone! Two long years passed, even rumors fading away like wisps of mist before an autumn dawn. . . . So it is back — or at least one hopes. More will be reported here as it is revealed. For now at least, the contracts went into the mail this morning; an updated bio was emailed last night (a major addition: that the collection THE TEARS OF ISIS, then awaiting a hoped for May publication, has since become a 2014 Bram Stoker Award(R) nominee); and, if all goes well, I think AIRSHIPS & AUTOMATONS may become a major addition to the steampunk genre — and one that will have been worth the wait!